We see a lot of picture books, don’t we? Sometimes it’s a little mind-boggling. So many books! What should I read next? Which is exactly how I discovered Zachariah OHora a few years ago (figuratively speaking, of course). I was walking out of the library when a striking blue gorilla caught my eye. I turned around, grabbed No Fits, Nilson!, and have been a huge fan ever since. 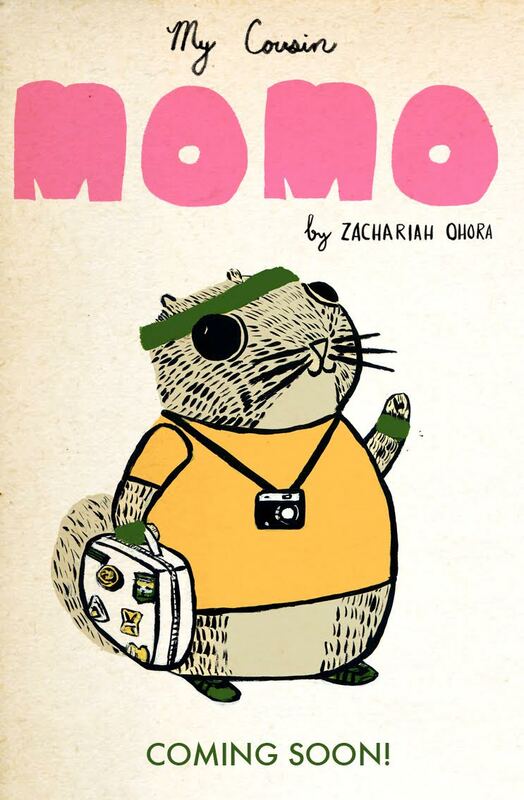 And, so, to celebrate the arrival of Zach’s latest book, My Cousin Momo—a sweet and funny story about friendship and acceptance— I’ve invited him to come by to answer a few questions. He’s also generously agreed to give away a signed copy of Momo to a randomly selected commenter (see more below). And illustrated three additional books written by (respectively) Lisa Wheeler, Sudipta Bardhan-Quallen and Ame Dyckman. 1. Momo clearly marches to the beat of his own drum. Was he inspired by anyone in particular? Momo was mainly inspired by photos I came across of Japanese flying squirrels as well as the emerging personality of my younger son Teddy. Quiet, mysterious and cute. 2. As both the author and illustrator of this book, did the story begin for you in images or words . . . or both? What media do you use? 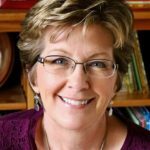 My books always start with an image or character. 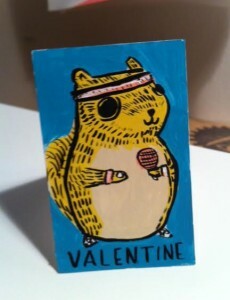 Usually it’s finding the cutest thing I can find on the internet and making a card of it for my wife Lydia. When I draw them long enough their personalities start to emerge. Sometimes I’ll make a mini book out of paper scraps on my desk. This was the beginning sketch of the fully realized Momo. I paint with acrylics and sometimes add some textures in Photoshop like the background below. But mostly I work old school and deliver a box of finished paintings. 3. Your illustrations convey real kid-like emotions—even though the kids here happen to be squirrels. 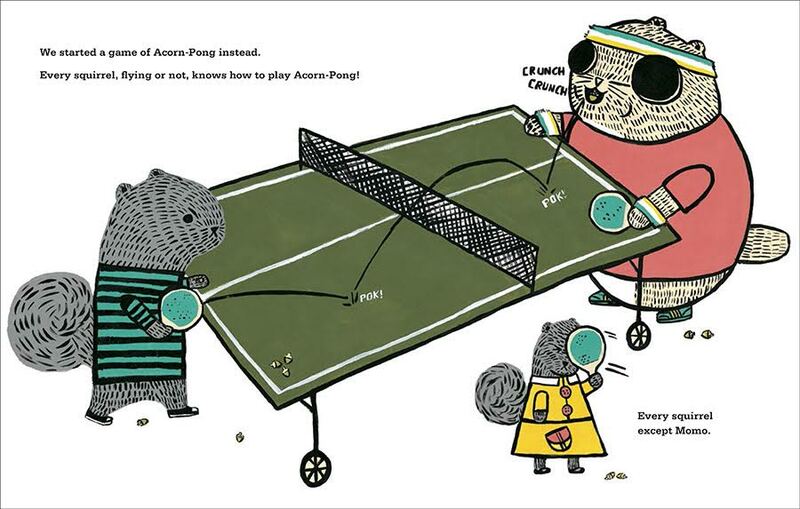 For example, we feel the girl’s frustration with Momo when she whacks herself in the head with the Acorn-Pong paddle. Did you have this image from the get-go or did you experiment? Momo went through quite a number of drafts, first with my editor Nancy Conescu and after she moved to Australia there were more drafts with Nami Tripathi and Lily Malcom too. So things evolved quite a bit. As the story changed, the younger sister squirrel’s (Francine) personality really came to the fore. Her outbursts are some of my favorite moments in the book and they capture kids exasperation—almost a Linus from Peanuts level of visceral frustration that is funny because we all have felt it. Here are a couple different early thumbnails for what became the acorn-pong spread. Quite different text too. 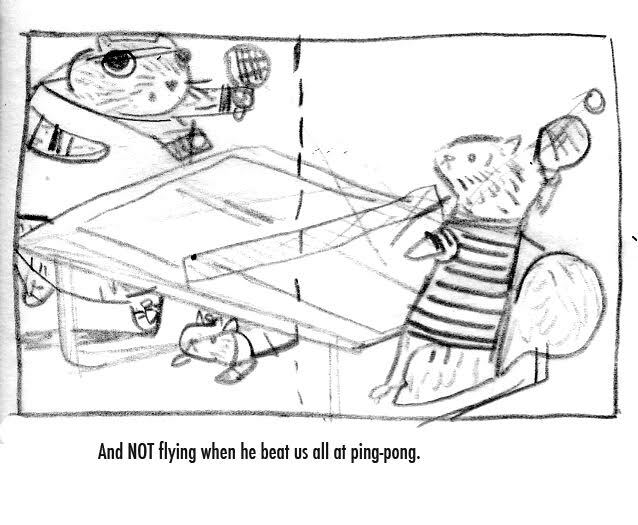 Here’s an early sketch of that spread when it turned into acorn pong. 4. Your books are packed with the sorts of details that kids (and adults) love to study. 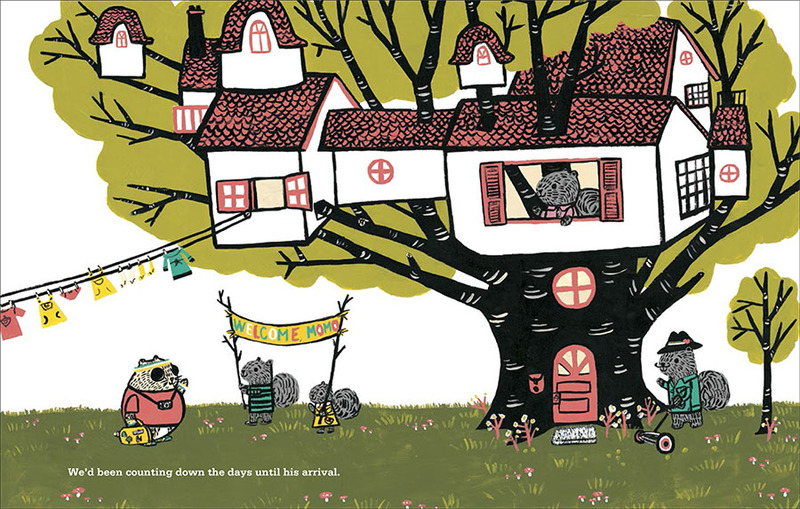 In Momo, I’m particularly taken with the sprawling tree house design—the clothesline with squirrel-outfits attached, the bunk beds and bookshelves. How did the house evolve? I knew from the beginning that I wanted the house to be an elaborate treehouse. So I looked at tons of treehouse pictures on the internet. I was also inspired by a Fisher Price toy that my cousin got for Christmas that I was totally jealous of. The Woodsey’s. I coveted this toy for years. A few months ago Ame Dyckman [author of Wolfie the Bunny] gifted me one. I couldn’t believe it, childhood dreams do come true! 5. When I removed the book’s dust jacket, I was surprised to see that the interior book cover (is there a technical name for this?) was different. 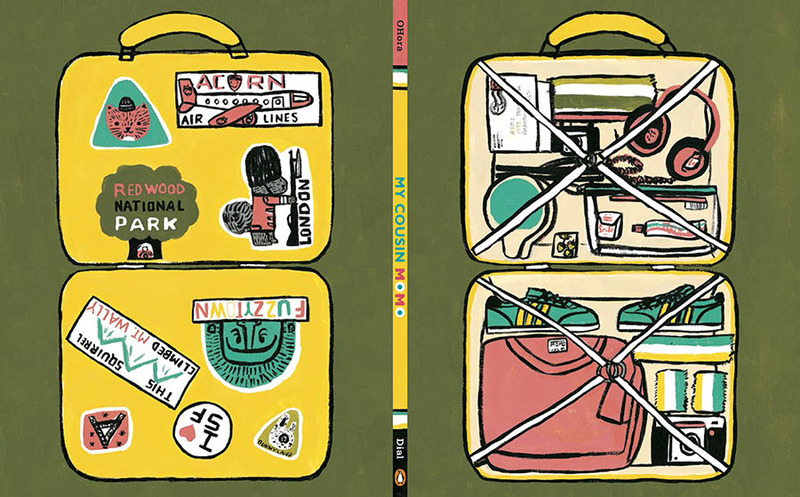 Instead of the dust jacket images, we get to peek into Momo’s suitcase on the front cover and look at the exterior of the suitcase—complete with fun travel stickers—on the back. How did that come about? The hard board that makes the book cover is called the “case cover”. Since it has to be printed separate from the dust jacket anyway, it’s not any more expensive to do something different. I try to pack in as many little surprises and details as I can, especially for the parents who are hopefully reading the book a couple hundred times. As a parent I’m delighted when I discover something new in a book. Cause even if I love it—after a hundred readings in a row I’m ready to gouge my eyes out. Hopefully I’ll be saving eyeballs by tucking in these little Easter eggs. Also my editor and art director give me lists of good ideas. Pretty sure it was Lily Malcom that had the idea for the case cover to be the suitcase. 6. You seem to have lots of projects going, in various forms of media. What feeds your creativity? Does anything sap it? I do editorial illustration too. It’s nice to have some jobs that are quick turnarounds and healthy distractions from the longer term book projects. Sometimes there’s overlap of whatever I’m working on at the same time. 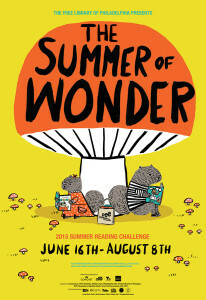 This is a poster I made for The Free Library of Philadelphia’s Summer Reading Program that is a nod to the 150th anniversary of Alice in Wonderland. Apparently, they owned the original manuscript that Lewis Carroll made and illustrated for the “real life” Alice. Knowing it was right when Momo was coming out I stuck him in there. And since there are fly agaric mushrooms in both stories it was a natural fit. That wraps up our interview. Thanks so much, Zach! Just leave a comment below by July 15th and I’ll randomly select a winner, to be announced in my next post (July 21st). If you’ve got questions for Zach, leave them in the comments—he’ll stop by later to answer them. 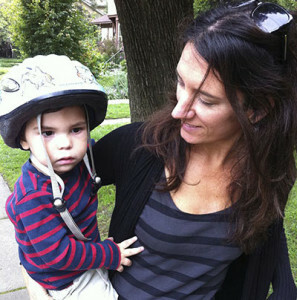 And for more about Zach, be sure to visit his website. 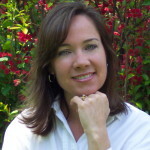 book giveaway, interview, Linda Ashman, My Cousin Momo, Zacharia OHora. Bookmark. I love the idea of Momo. I never heard of Japanese flying squirrels , so I learned something new. Love your illustrations btw. Good luck with it! Case cover – suit cases – fly agaric mushrooms. Love delightful posts like this one that turn my brain around! Thanks, Cathy! Hope you guys are enjoying the summer! What a fantastic interview. Haha. 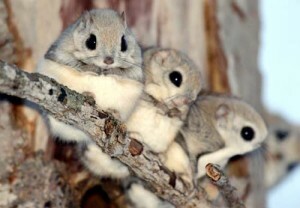 I love Japanese flying squirrels picture. SO adorable. Momo sounds like so much fun. I loved your thoughts on the case cover. I think children love to get one of your books in their hands. Muffin Man tickled me (and the game of Acorn Pong). 🙂 Your illustrations are filled with so many little details and surprises. How long do you spend on them? I will say that you are one of my favorites now. You pull the reader in with these wonderful illustrations. I hope I win. But if I don’t, I’ll buy Momo and every book from you that I can find. Each spread (when things are going well) takes me 2 days to do. If things are not going well, its one spread every two weeks. This is an awesome interview! It was like you were in my head with the questions you asked. I really love the colors in this book. They’re bright and cheerful but not overly saturated. It’s very unique and refreshing! Thanks, Lindsay! And, yes, the colors are wonderful–you’ll love it! Oh, how I adore when the case varies from the jacket. Well done! 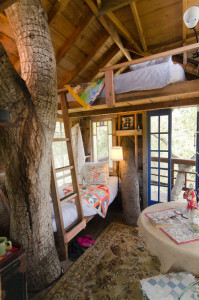 And that tree house! I’d love to move in. I told you this on twitter, but my mother recently mailed my old Woodsey’s set to my daughter. Everything’s intact but the furniture. 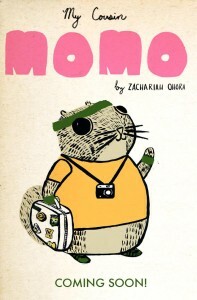 Looking forward to picking up MOMO for myself and thanks for a great post. Thanks, Kristin! Yes, the treehouse is amazing! Love this post – so refreshing! 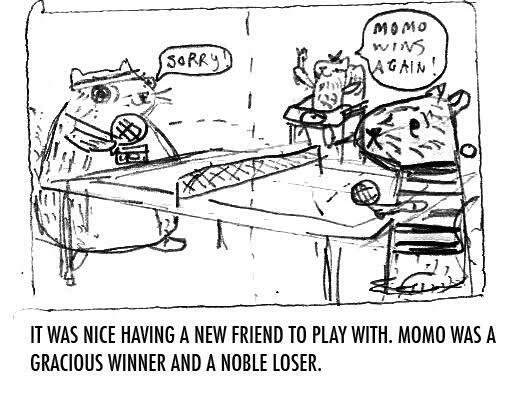 Your characters are full of personality -looking forward to meeting MOMO! I love Momo and I remember The Woodsey’s, too! My sister had them and I was so jealous even though I was a little too old for them. I guess your always a kid at heart. Thank you getting my day off to a creative start! Love, Love, Love, the illustrations and humor. I, too, LOVE tree houses! Where did the name “Momo” come from? The name Momo is from the Japanese word for flying squirrel, which is Momonga! Thanks for sharing. Charming interview. Look forward to seeing more of your work! Thanks so much for sharing this! Love this! I love how cute Momo is. Thanks for this interesting look into the book and how text marries story so beautifully! Thanks for the post. I loved the tiny book and want to make one! I loved the tree houses and how Zach laid his out. I had a book on tree houses ‘jump’ into my hands once and love looking at it. 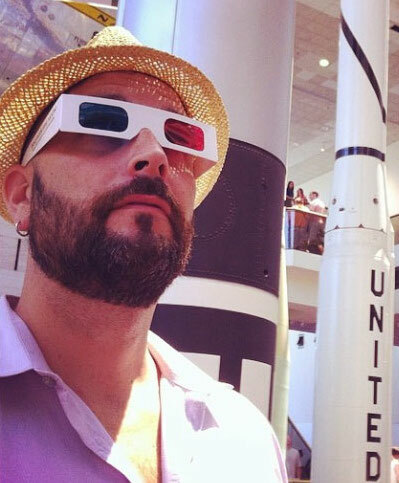 I leaped over to Zach’s your website and want to attend one of his presentations. To be able to write and illustrate is certainly the most perfect world. Thanks for the insights. I’ll have to go check out all the books! Thanks, Susan. Yes, the tiny book is so cute, isn’t it? And do check out Zach’s other books–they’re wonderful! I love learning the background information that inspired the creation of Momo. Thank you. Thanks for the comments and drawings which gave us insights into your creative process. I loved Momo’s eating the acorn-pong, crunch, crunch. Too funny! The tree house development was great. It made my childhood tree house look very basic and plain, but the tree was beautiful. I spent hours there reading on hot summer days. Momo is so cute! It even sounds Japanese. The photo of the squirrels is darling. 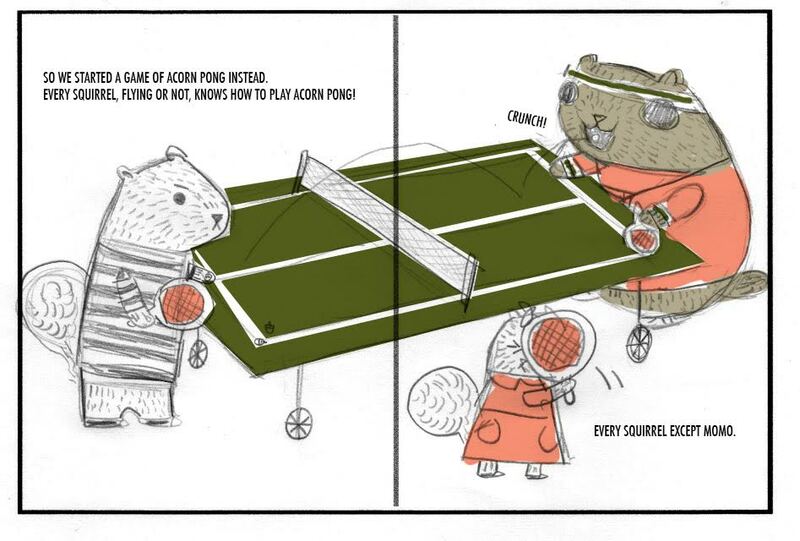 I love the thought of an acorn-pong squirrel! Congrats! 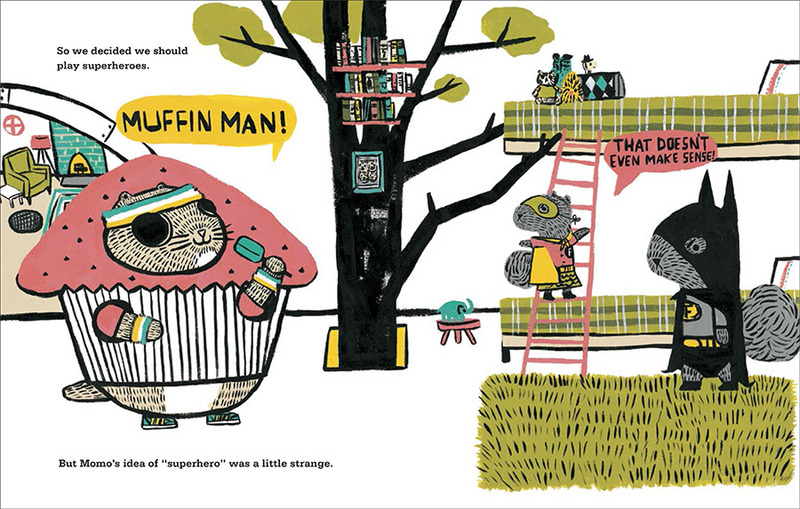 The treehouse is AMAZING – definitely looking forward to giving this book a look. Thanks so much for the interview. Learned lots! Thanks, Joanne. 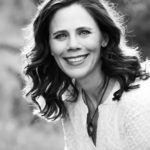 Yes, check it out–and you’re right about the treehouse! 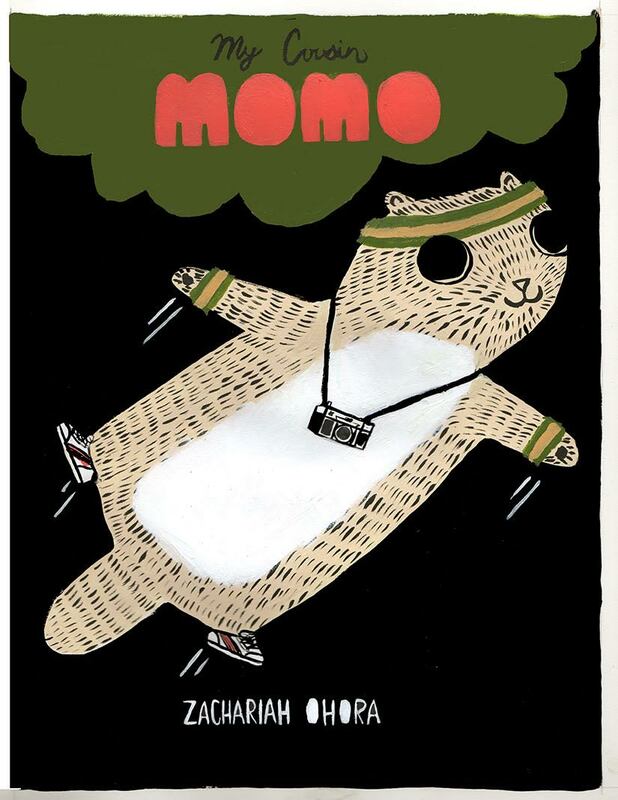 I love your work, Zacharia, so I can’t wait to read Momo! Thanks for sharing with us! Aw, sorry…Zachariah with an H! Terrific interview with photos that made me what to hang out with Momo or maybe even the squirrels in my back yard. 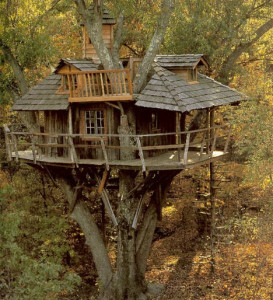 I’d love a tour of the tree house pictured here. More fun than a loft tour any day. What a fun playground addition that would make! Thank you both! Hi, Linda! 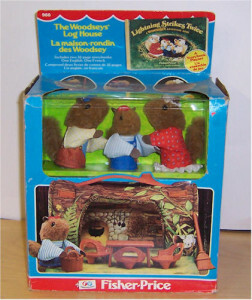 Yes, wouldn’t it be wonderful to have a real version of that treehouse made? Maybe Zach can branch out into the playground design business . . . Such a great interview! I really like how you did a different designs on the jacket flap and hard cover. So clever and surprising! I want The Woodseys! Fantastic interview, thank you! The best part of this interview is the peak into his process. I agree that anything can stimulate our creativity/work. He says we need fallow periods – I say I need time to let things percolate. Hi, Quinette. I agree–fallow/percolation periods are essential to the creative process (but can feel a little scary sometimes . . .). Yes! Excited about Momo. What a fun character! And the Japaneese flying squirrel deserves more books. Love seeing your illustrative process Zachariah. Adorable mini book dummy. I’ve read “Wolfie the Bunny” and now I’ll be on the lookout for your other work. 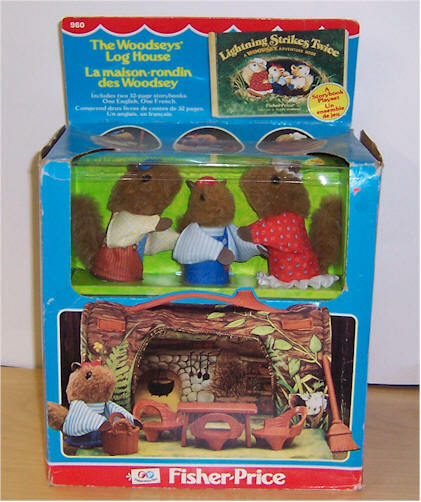 Love hearing about your process, and reading about your excitement of getting the squirrel family toy. I like how you talk about drawing a character until you know who they are. I do want to live in a tree house…as long as there are real stairs and not just a ladder. Oh well, maybe in my fantasy life I could not be afraid of heights. Momo sounds like a very fun book. I LOVE Muffin Man!!! It totally makes sense to me! I adore flying squirrels–look forward to MOMO! Great post! I love Zach’s creativity! What a fun interview! Zach, all the details you include in your books are the things that make reading such an awesome adventure for kids – and adults. Thank you for being so thoughtful in your process. 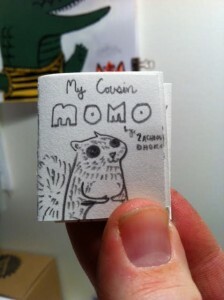 I can’t wait to read My Cousin Momo to my niece. One of her 11 cousins is actually named Momo! Gorgeous work! Suitcases are a wonderful peek into a character’s world. I love that spread! 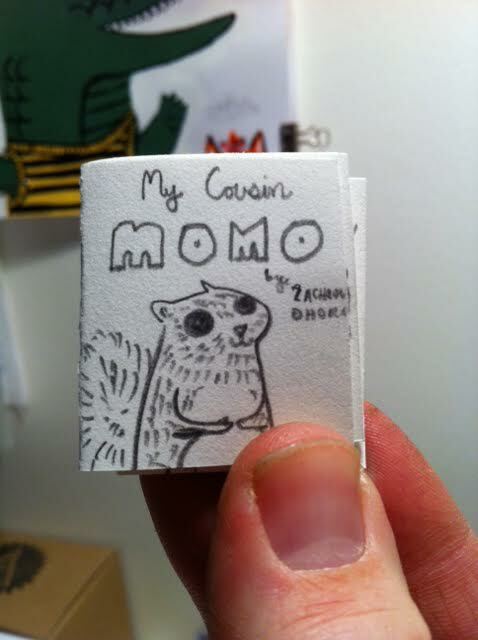 I admire you work, and can’t wait to read My cousin Momo! What a great interview – can’t wait to read the book! MOMO is too cute! I enjoyed learning the back story. Thanks for sharing. Love the interview! Can’t wait to check-out Momo! Momo sounds like quite a character. Looking forward to reading more. Coming very late to this party, but MOMO rocks! And I loved all of the behind-the-scenes stuff here. Thank you to Linda and Zachariah for taking the time. And I’m thrilled that Zachariah is illustrating my upcoming picture book, IF YOUR MONSTER WON’T GO TO BED (Knopf, 2017)! Beyond fabulous! Late or not, Denise, you’re always welcome to the party! And I can’t wait to see MONSTER–I’m sure it will be fantastic!